Boil the bow-tie pasta according to package instructions. We recommend following the recommendations for al dente-cooked pasta. 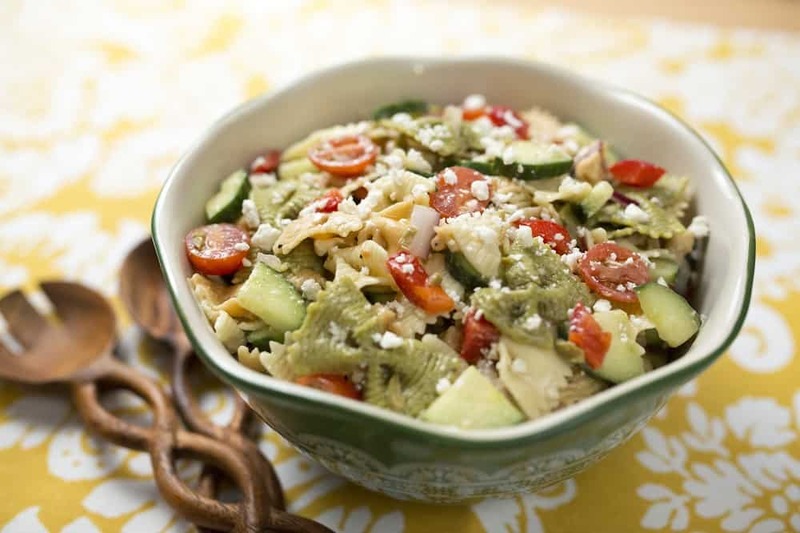 Add cucumber, bell pepper, red onion, tomatoes, olives, and feta cheese to the pasta. Pour salad dressing on top and toss well. Allow to chill for several hours in fridge before serving or serve at room temperature.